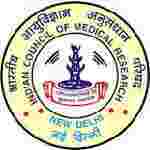 NIMR recruitment 2017 notification has been released on official website www.nimr.org.in for the recruitment of total 04 (four) jobs out of which 01 (one) vacancy for Assistant, 01 (one) for Upper Division Clerk & 02 (two) for Lower Division Clerk vacancies. Job seekers should apply on or before 16th January 2018. Here on this page you will get the details like the Name of vacancies released by NIMR with exact number of posts. Some other criteria like Education details, application fee and way to apply application for NIMR recruitment 2017. Educational Qualification: Three years Bachelor Degree in any discipline from a recognized University/Institute for S.no-1. Degree of a recognized University or equivalent and Typing speed of 35 wpm in English or 30 wpm in Hindi on Computer for S.no – 2. 12th class pass or equivalent qualification from a recognized board and typing speed 35 wpm in English or 30 wpm in Hindi on Computer for S.no – 3. Age Limit: The age of candidate should be between 30 years for S.no-1 & 27 years for S.no-2 & 3 as on 16.01.2018. Fee charges: Applicants who wanted to participate for NIMR should pay the below charges through IPO/Demand Draft in favour of Director, National Institute of Malaria Research, New Delhi payable at New Delhi. Interested and eligible aspirants should apply in prescribed application form along with self-attested copies of all relevant documents & DD send to The Director, National Institute of Malaria Research, Sector-8, Dwarka, New Delhi – 110077 on or before 16.01.018.